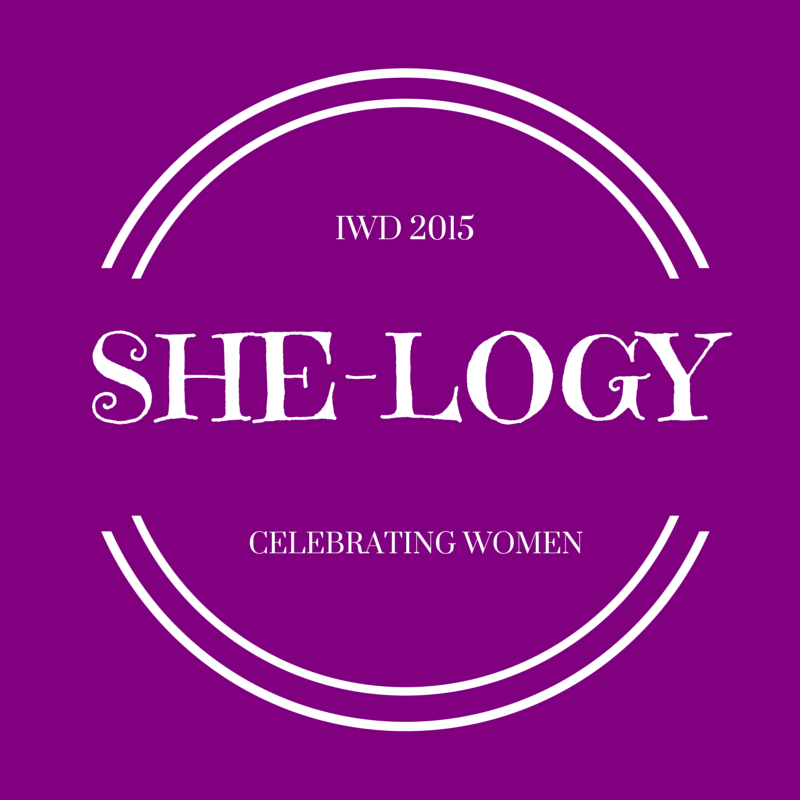 Inspired by Silverliningmama’s feature “She-logy” honoring woman who are outstanding or special. The first one is my mother Ruth 1923-2008. She was very special to me of course, but to many others too. She moved into Copenhagen during the Second World War as a twenty-one year old, working in the day and studying in the night. She would deliver illegal newspapers when that was needed and fell in love with one of the liberating British soldiers. She would always put us and her friends and families higher than herself. She would do what ever needed to keep in contact with the extended family and friends old as well as new ones for her whole life. She stood out with my father, who was not easy to live with, without ever complaining. My mothers eldest sister Ermegaard was unique too. She was a real survivor. She was adopted by my grandfather on my mother’s side. 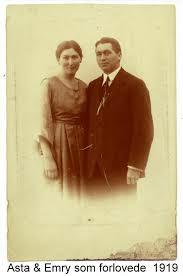 His first wife was barren and in 1915 they adopted Ermegaard only a few days old. It was said that her biological mother walked past their windows to get a glimpse of her when Ermegaard was newborn. At the age of three the mother who adopted her died in the Spanish flu. My grand father was now alone with this little girl at the time where WWI ended. He was so afraid that he couldn’t cope with the situation. She thought that the flags were waving because of her three years’ birthday on Armistice Day 11.11.1911! Luckily my grandfather got in touch with my grandmother in 1919 via a contact announcement in the newspaper and she married him and got this little girl at the same time. That was Ermegaard’s third mother. Ermegaard was named after some Romantic figure from the literature inspired from the Nordic Romantic sagas. I have never heard of anybody with that name. She developed into a very secure and beautiful young woman. She married before the Second World War and moved to a coastal town in Jutland called Esbjerg. The Royal Air force came in from the North Sea and there was a lot of flak, as the German tried to hit them. My mother and her brother went to see them going by train across the country in the summer of 1943. When the air raid warning went off they were moving like worms on the floor in their sleeping bags in the sitting room, where they slept, to a safer place. There she got very involved in illegal works during the war. 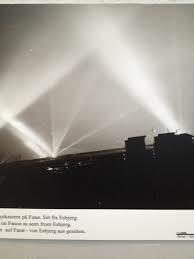 Denmark was occupied by the Nazis from 9. of April 1940 until the 4. of May 1945 in the evening. Ermegaard worked as a courier which would have been punished with death penalty if found out. When we hear and read about resistance movement from the war it is most often men that we hear about. The woman was just as involved behind the scenes, but they seldom got any credit for their involvement. I was so lucky that she told me about it a few years before her death in 2009. During the WWII The Dutch people were suffering a lot from hunger and cold due to the German occupation. My aunt Ermegaard and her husband sent a warm coat to The Netherlands to help somebody. Later they were contacted by the Red Cross, who asked them to take care of a 13-year-old girl Beppie, who was very malnourished. It showed up that her mother had received the coat and had found a calling card with their name and address in the pocket. The girl was too old to be allowed to be evacuated, but the mother insisted that they had an invitation and away she came by train. She saved her life getting nourished by her new foster parents who themselves at that time didn’t have children. Their relationship lasted the rest of their lifetime. 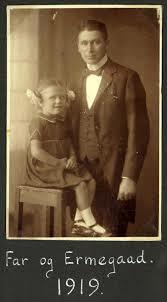 My grandfather Emry had taken care of a child Lotchen from Berlin in the early twenties after the first war. The children were evacuated from there and from Vienna. I am sure Ermegaard had the inspiration from her father to help a child. 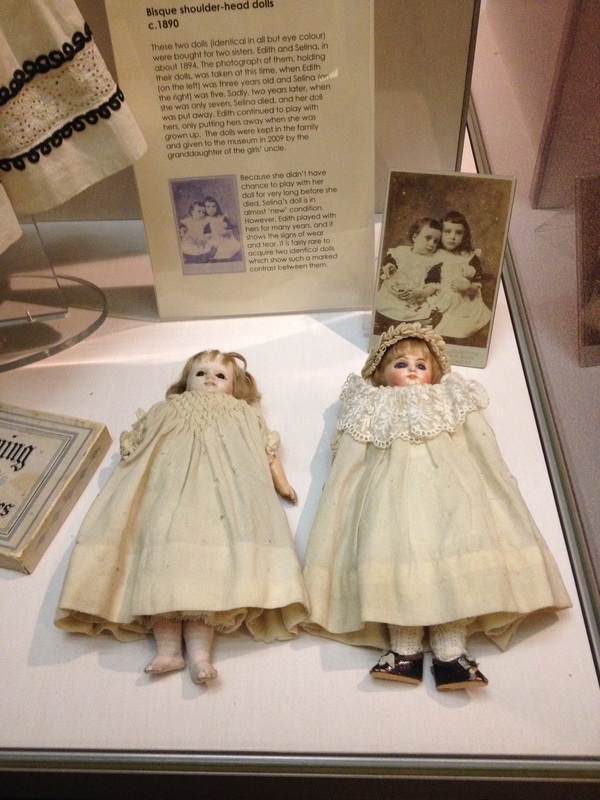 My grandmother Astas’s cousin Ellen was a different kind of person living a lonely life from 1898 -1966. She was second child out of ten children where many died due to infections incurable at that time. Many Sundays were spent by walking to the graveyards to visit the graves of the dead children. 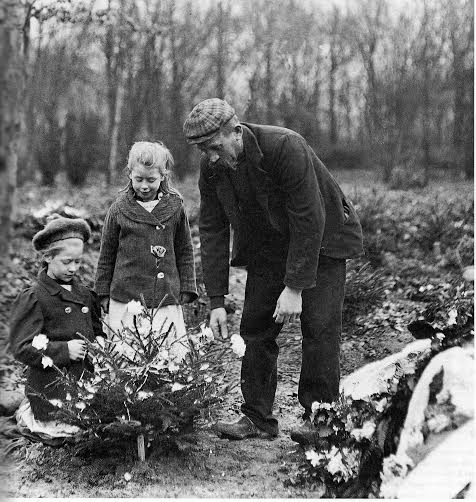 So many families lost children at that time and a custom of decorating a Christmas tree on the grave of the dead child spread. She learned to make dresses as all clothes were hand-made at the time when she was young. She never got married and I remember her as a very nervous type, hard to visit as this nervousness was so obvious even for a child. My mother took us there once a year to pay her respect. I remember that I thought that it would be difficult to get old and odd and lonely. She was young in a time where women had to wait to get a proposal from a man. When that didn’t happen she could help her brothers’ family and just wait to get old and that was her life. The freedom to vote for women in 1915 didn’t help her, but I guess that yourself has to be a fighter to become satisfied in your life. This is lovely, Maria. I’ve always loved the photos you share in your blog, particularly this one. Thanks for sharing these remarkable women in your family. It was wonderful to get a glimpse of women in that time. 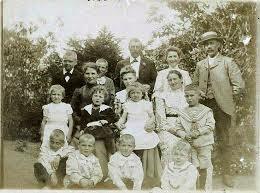 Love your wonderful family stories and pictures. Wonderful pictures to illustrate the stories of these strong women!